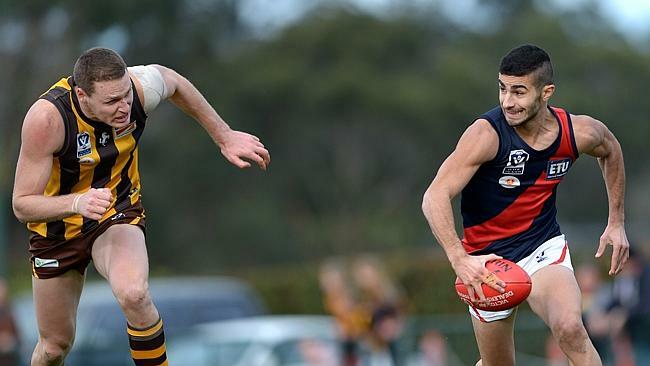 COBURG coach Peter ­German has revealed the club’s list could change by as much as 50 per cent as the Lions shift their focus ­toward season 2015. During an in-depth interview with the Moreland Leader, German said the success Coburg enjoyed in its return to being a stand-alone club this season meant that players from across the region were now knocking down the door looking for a senior VFL opportunity. “Last year it was like, ‘who wants to play for Coburg footy club?’,” German said. “We spoke to a lot of players and they pretty much dismissed us. “Our brand was tarnished and I’m not sure if people saw there was a direction or possibly even a future. Some punters questioned whether Coburg would survive one season alone after its 12-year alignment with Richmond ended after the 2013 season. THE Casey Scorpions today pulled the first surprise of the VFL pre-season when they installed former St Kilda and Richmond forward Justin Plapp as their new senior coach. Plapp was named to replace Rohan Welsh, who had completed two years and was keen to continue. But talks between Casey and Melbourne culminated in a job offer to Plapp yesterday. He accepted this afternoon. The 37-year-old has had charge of TAC Cup club Sandringham Dragons for the past three seasons. He was a Development League coach at Box Hill in 2010 and Williamstown in 2011. Coming out of the Burnie Dockers, Plapp’s stints at Richmond (1998-99) and St Kilda (2000-02) produced 44 games.